Universal Windows Direct is a premium home improvement company with big aspirations. Our company is experiencing exponential growth, and we’ve recently reached new milestones that reflects our dedication to becoming the nation’s leading home improvement company. Universal Windows Direct has achieved spot number 16 on the Top 500 Qualified Remodeler. This means our company moved up four spots on the Top 500 list over the last year, taking us from number 20 to our new spot at number 16. 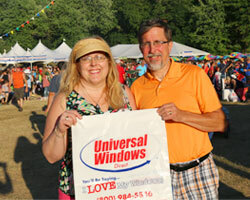 Since last year, Universal Windows Direct completed 7,112 home remodeling projects. This consists of new roofing, vinyl siding upgrades, installation of new gutter guards and patio rooms, and our signature home improvement—premium quality replacement windows. What is Qualified Remodeler Top 500? Qualified Remodeler is the leading media brand serving remodeling contractors for over 40 years. It’s also known for its annual ranking of the home improvement industry’s largest firms—The Top 500 list. 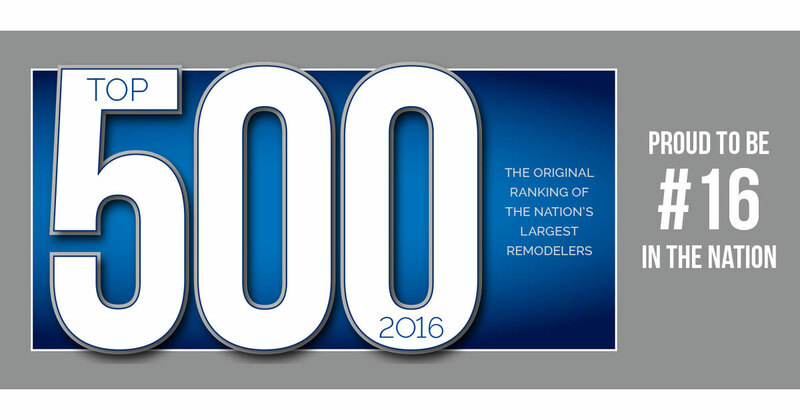 2016 marks the 38th year of Qualified Remodeler’s Top 500. The rankings are based on installer dollar volume in terms of annual revenue. Companies that qualify for the Qualified Remodeler Top 500 are involved in a variety of projects, including bathroom remodels, kitchen remodels, whole-home remodels, insurance restoration, light commercial projects, design-build services, exterior/replacement contractor, and more. How Did Universal Windows Direct Snag Spot Number 16? Earning a spot on the Top 500 list is an honor, but we’re over the moon with landing spot number 16 this year. This honor was achieved through the passion and hard work of our team members who work together as one unstoppable force. However, there is another piece of the puzzle to earning spot number 16: our unforgettable customers. "We were very grateful to have new windows installed by Universal Windows Direct. The team did a great job of providing quality service people who came in very respectfully with great cleanliness and installed quickly, easily, and efficiently. It was very comfortable for us." "Installers Cliff, Cody, and Dan were professional, clean, thorough, and funny! Made for a great experience. The windows look and function beautifully." "Friendly, knowledgeable, and professional installation crew. Barry and Ed were very informative and did a great job! They did a great job with clean up as well. Windows are great!" One of the reasons why customers are so happy with our work is due to quality installation, premium products, and affordable price. Our company proudly offers the very best home improvement products that fit into a wide range of budgets. A big thanks to our previous, current, and future customers with helping our company hit another major milestone. Here at Universal Windows Direct, the sky is truly the limit! Learn more about our company here.